A proper religious worldview includes commitment to making the world a better place. 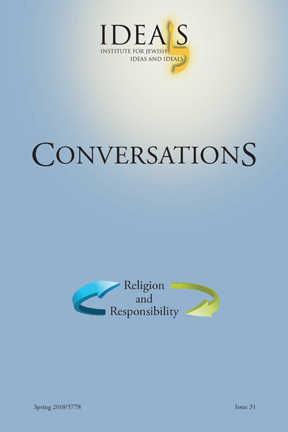 This issue of Conversations deals with Torah Judaism's responsibility for society, for our environment, for human dignity. It includes articles on women as Orthodox Jewish religious leaders; faith development; end of life issues. Among the authors are Rabbis Marc and Hayyim Angel, Dr. Daniel Sperber, Rabbi Nissan Antine and Maharat Dasi Fruchter.